We have a lot of things going for us living in our great city of Edmonton. 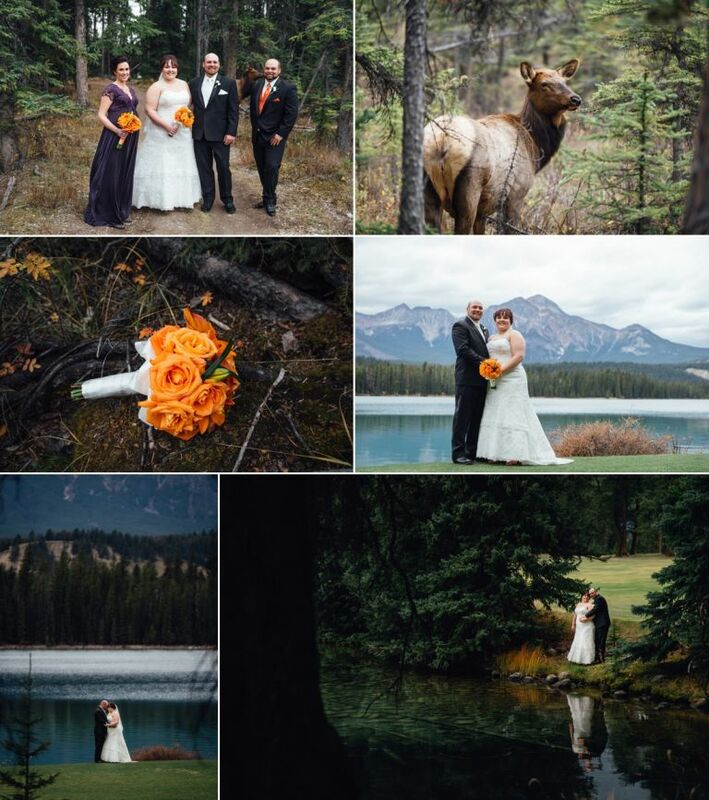 One of the many benefits is our close proximity to Jasper National Park. To be able to drive for just a few short hours and end up in the majestic Rockies, is something we sometimes take for granted but we’re always excited when we get to make the trip out there. 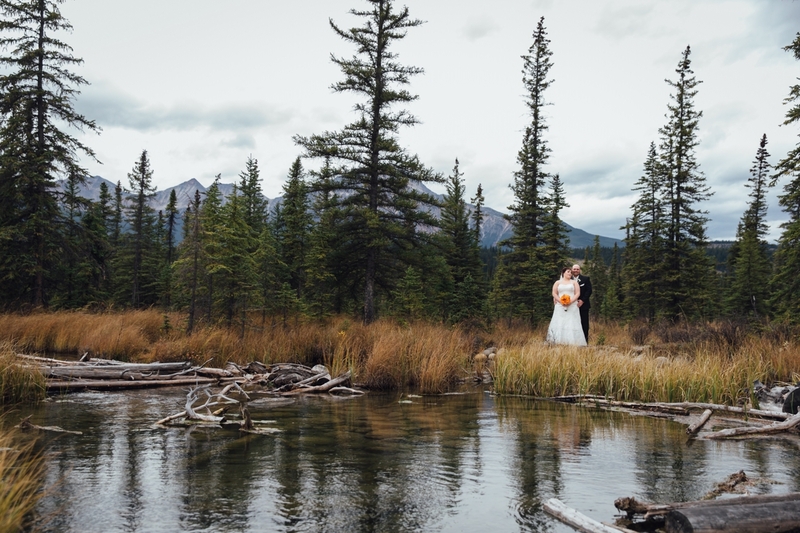 Shannon & Brad were originally scheduled to get married next year but their plans changed and they decided to have a small intimate fall wedding at the Fairmont Jasper Park Lodge. 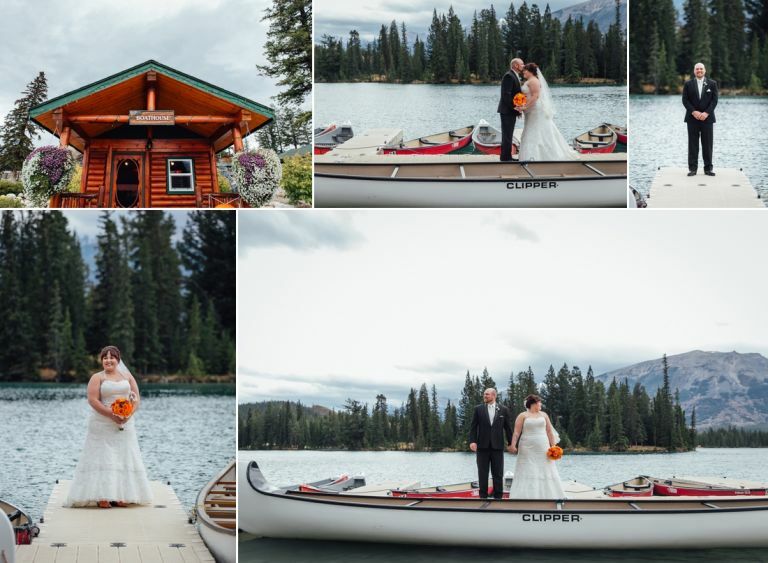 It was a cool, overcast day but thankfully the rain held off for their outdoor ceremony in front of the lodge next to beautiful Lake Beauvert. After their ceremony, our guide from the JPL drove us around the property on a golf cart and we found some great spots to photograph the happy couple and their wedding party. 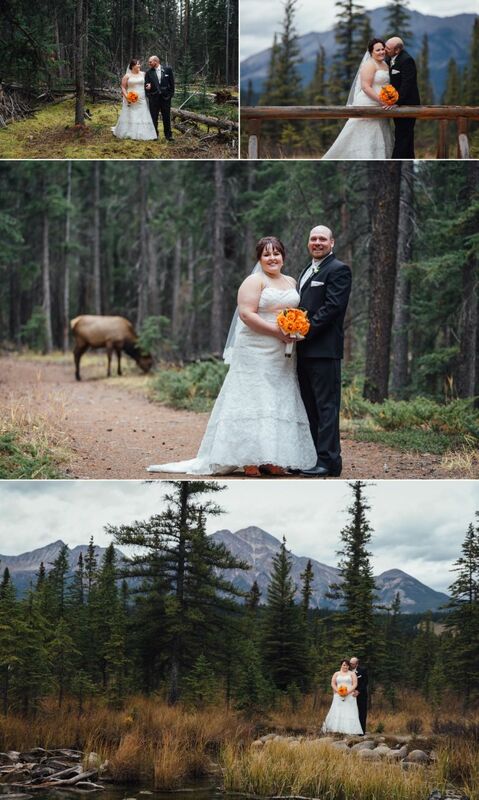 We even managed to get a few photos with an unexpected wedding crasher in the form of a female Elk who proved to be more than a little curious about what we were doing. 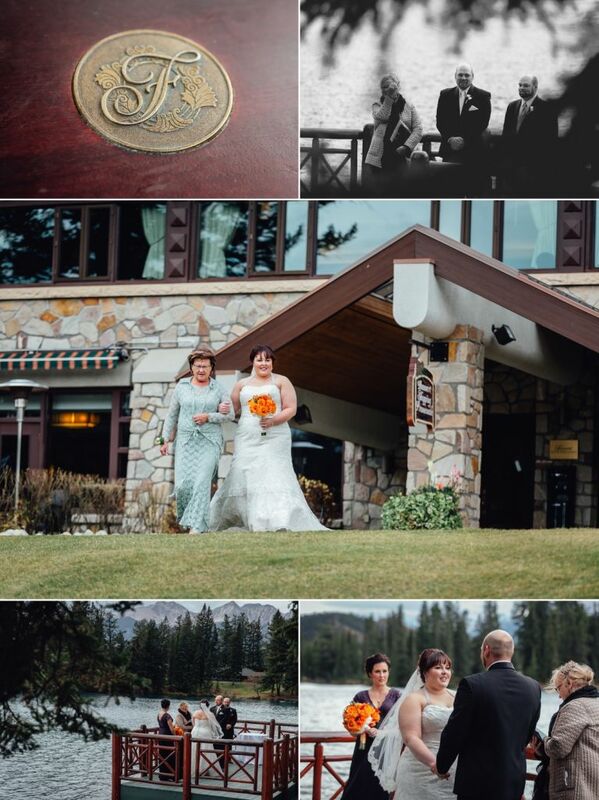 After we were done photographs, we headed back to the Jasper Park Lodge to capture some nice candids of their family and friends during their dinner and reception at Orso Trattoria. It was a great way to cap off their day. 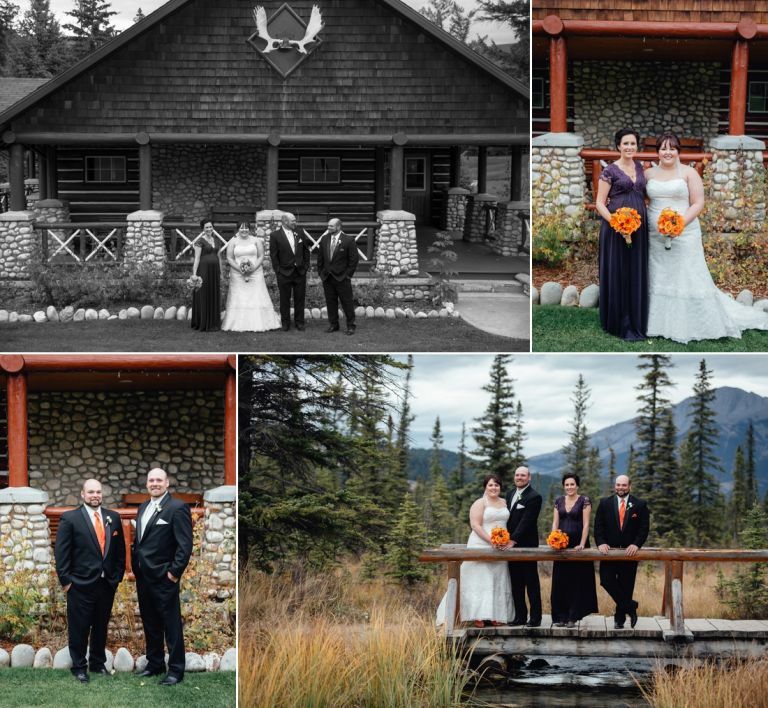 Here is a sneak peek from Shannon & Brad’s fall wedding at the Jasper Park Lodge.